Looking for a pet that may need a little less grooming? Short-haired dogs could be a great option, just keep in mind that low-maintenance coats don’t always equate to a low-maintenance pet, and there are a number of considerations to take into account (like energy levels and personality) before choosing a companion. Most dogs shed to some degree and short-haired dogs are no exception. 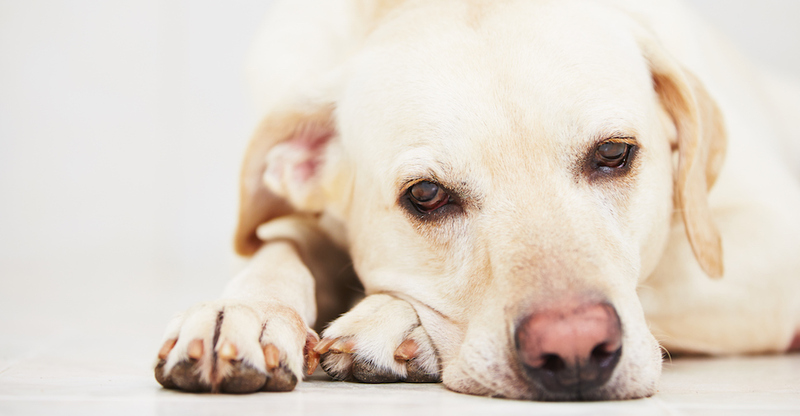 The amount a dog sheds, however, can depend on the breed. Some dogs with long, fine fur may be low-shedding compared to their short-haired counterparts. And some short-coated dogs can shed heavily. But on the whole, short-haired dogs are relatively easy to groom, their fur won’t mat or tangle, and regular brushing can help keep the shedding (and fur on your furniture) at bay. How do I groom a short-haired dog? For most smooth-haired dogs, a hard rubber brush or grooming mitt will do. If your dog has a thicker coat, use a bristle brush. Move in the direction of the fur as you brush, and be careful of the eye and ear area. Brushing 1-2 times a week should be sufficient to remove dead or loose hair. Short-haired dogs should also be bathed about once a month, and, just like other dogs, they’ll need their nails trimmed, teeth brushed and ears cleaned with a damp cloth. Which are the best short-haired dogs? That depends on your needs. Short-haired dogs and short-hair puppies come in sizes that range from big and medium to small, can have high or low energy, and come with personalities that range from silly to serious and snuggly to stubborn. The right dog for you depends on what you’re looking for in a companion, as well as the dog’s needs. Ultimately, your decision shouldn’t be made on breed alone, but these short-haired dog breeds list could be a great place to start your search for a new best friend. 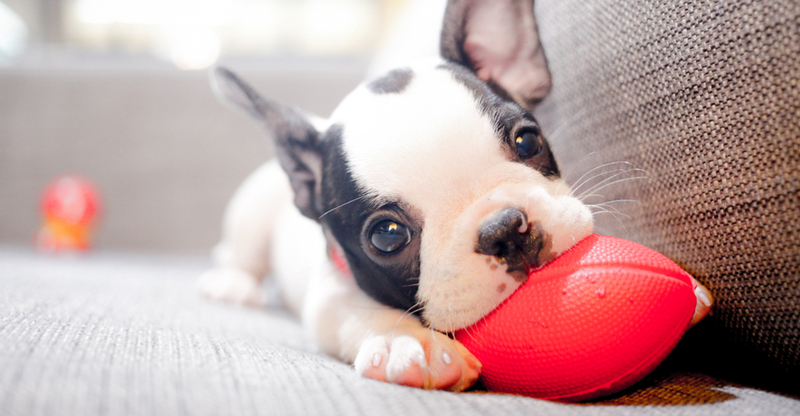 Boston Terriers are loving, lively and playful. They’re full of personality, and, while some may have a stubborn streak, they are generally trainable and eager to learn. Good to Know: This breed is moderately active, and sensitive to heat. Some may wheeze or snort. Dachshunds exhibit a variety of coat lengths and various temperaments. You can find both short-coated varieties, as well as long-haired Dachshunds, each with individual personalities. Good to Know: These little dogs are fearless and made for adventure, so they need exercise and regular play to keep from getting bored. These funny little pups love to play and make great family pets. They may be on the small side, but they’re known for big personalities. Good to Know: Make sure you clean the French Bulldog’s facial wrinkles regularly with a damp cloth. These pups are clever and playful, with lots of energy and a bright demeanor. Good to know: Their grooming needs may be low, but their exercise requirements tend to be high. 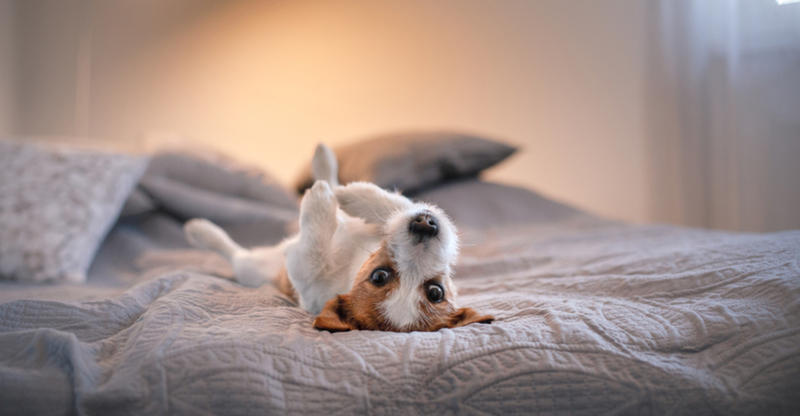 Jack Russell Terriers may have lots of energy, but that may be a great fit for active families. 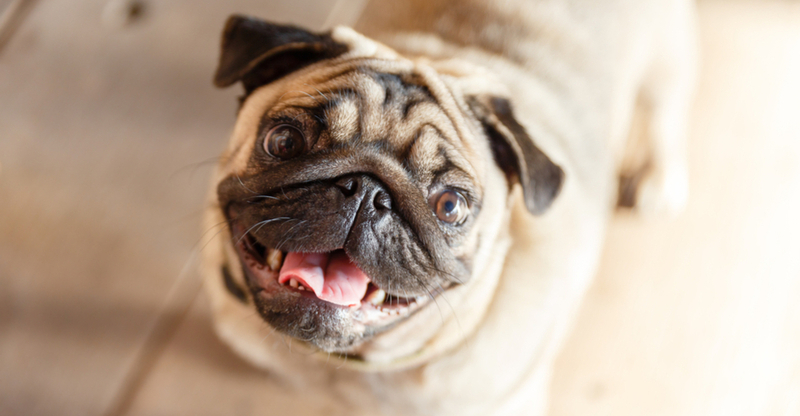 Silly and sweet, with that distinctive squashy face, the Pug is a short-haired breed that enjoys a lot of popularity—probably due to their all-around good-natured personalities. Good to Know: Pugs are sensitive to heat. Some may wheeze and snore, and they should have their facial wrinkles cleaned regularly with a damp cloth. These happy fellows do great with kids and families. They enjoy being part of a pack and thrive with company. 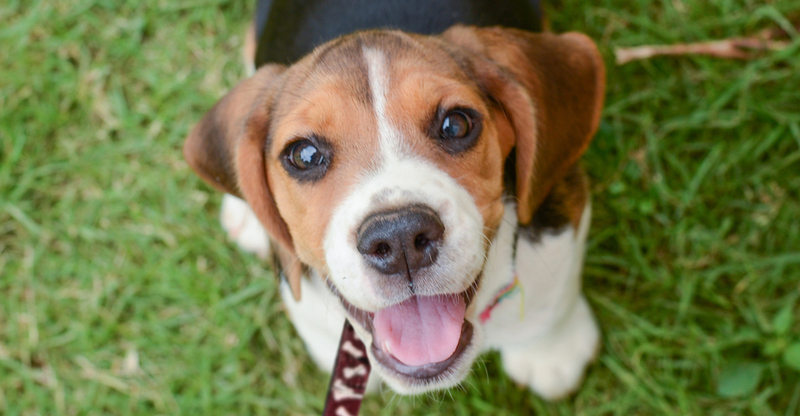 Good to Know: Beagles tend to need a lot of exercise, and some may enjoy catching a scent and seeing where it leads. In addition to low grooming requirements, Bulldogs are generally easy-going, gentle and delightfully low-key. 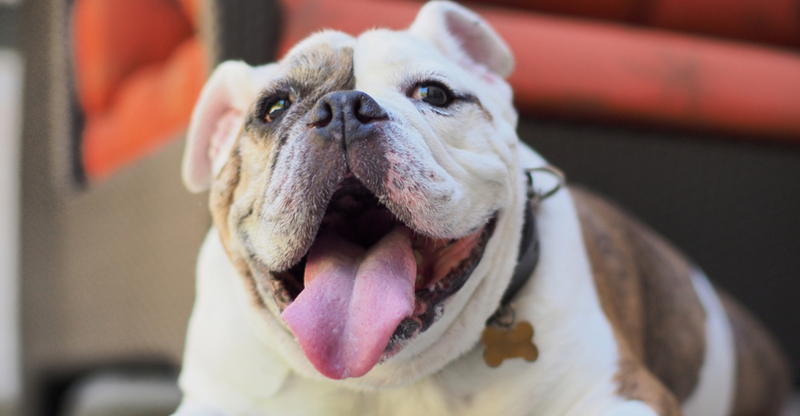 Good to Know: Because of their couch-potato tendencies, Bulldogs can be prone to weight gain. Make sure you watch their diet accordingly. There’s no mistaking a Dalmatian. They have a distinctive coat and dignified personalities, with outgoing demeanors and a trainable temperament. Good to Know: Dalmatians are very active. They need exercise and are happiest with a task to do or a long walk. Active and affectionate, Boxers make great family dogs. They have a lot of energy and love to play and run. 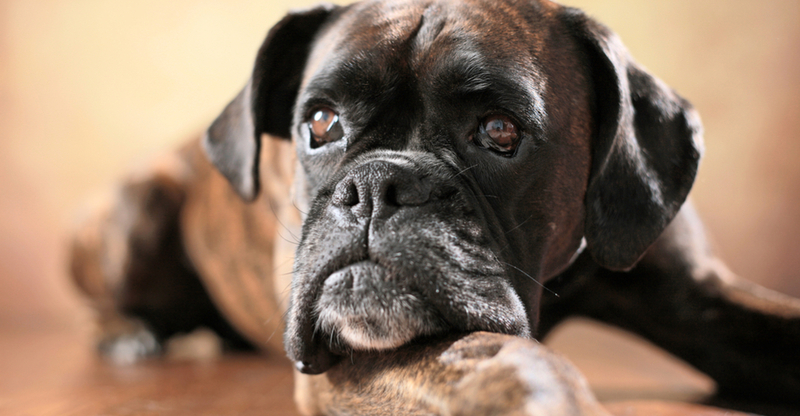 Good to Know: Boxers can have a stubborn streak, but are generally well-mannered and trainable. 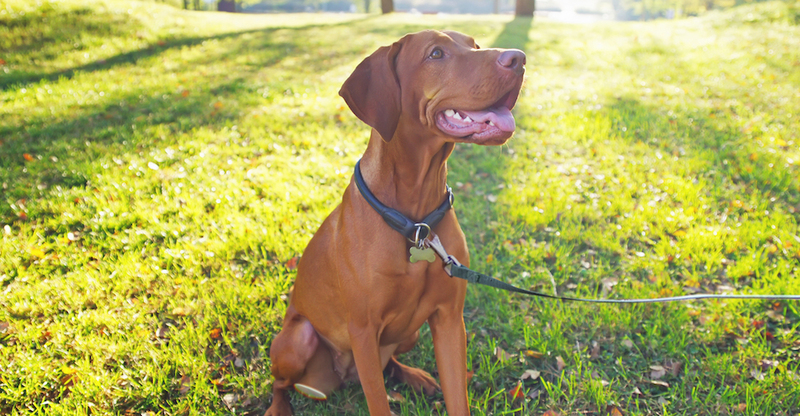 Vizslas are gentle and sensitive, with an exuberant, on-the-go personality. Good to Know: Vizslas are extremely active and need vigorous daily exercise. These quintessential family pets are loveable and loyal, with sweet dispositions. Good to Know: Not only do Labs have a short coat, they also naturally shed water, and many love to swim. These gentle giants are good-natured and kind, with a relaxed and stoic demeanor. 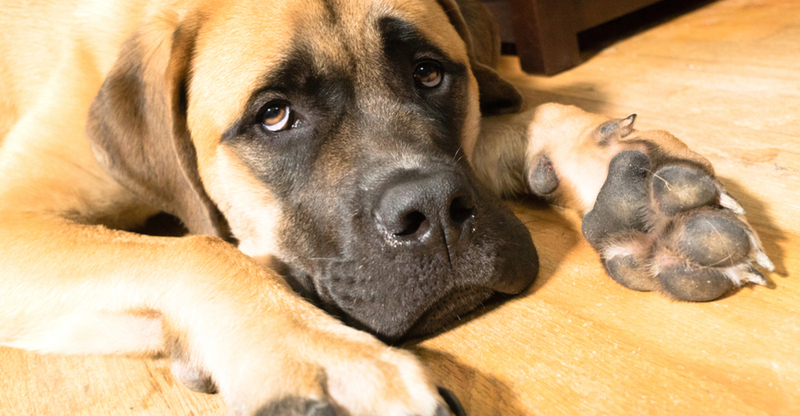 Good to Know: These big dogs don’t require a lot of grooming, but Mastiffs do tend to drool. Watch your countertops around these big dogs, which can stand as tall as a human on their hind legs! Their personalities are easy-going and patient, and they have a loving nature. 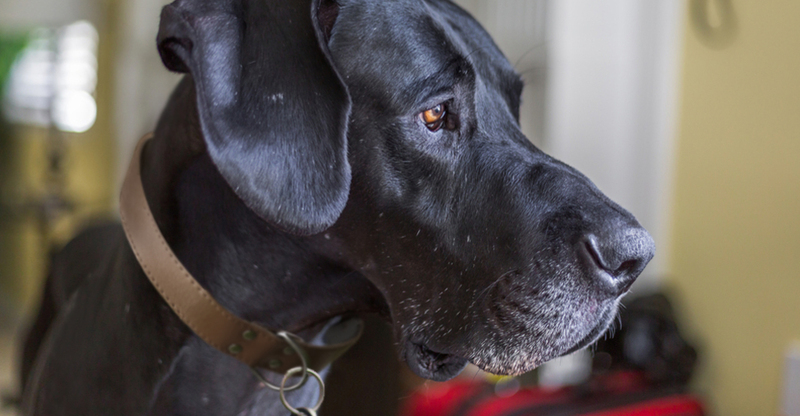 Good to Know: With huge bones, Great Danes may benefit from large-breed dog food, with special nutrients for joint health. 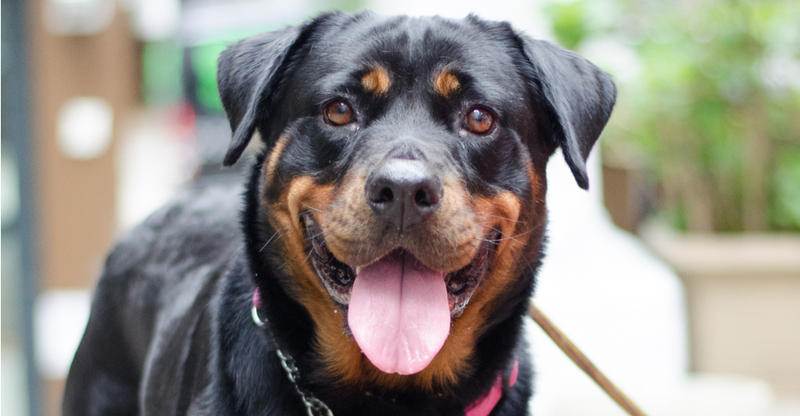 Powerful and stoic, Rottweilers do best with tasks and activity, and love being around their people. Good to Know: Because he tends to the large side, it may help to start the Rottweiler on a proper training regimen at an early age. 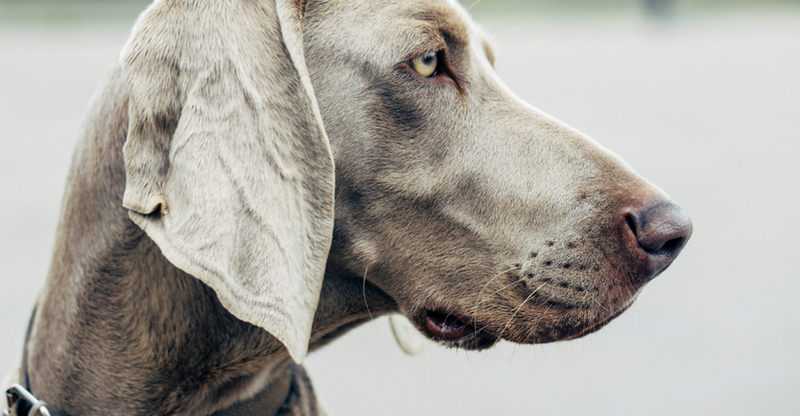 With a distinctive silver-gray coat, there’s no mistaking a Weimaraner. These dogs are graceful, energetic and endearing. Good to Know: Because of their high energy, Weimaraners require solid training and a lot of exercise. Naturally, purebred pups aren’t the only short-haired dogs around. Plenty of adoptable dogs come in the short-coated variety, too. Luckily, on Petfinder, you can find both. Check out a few who are ready to come home with you right here. Note: While the breeds in this collection tend to be short haired, individual pets will vary. Please consult the adoption organization for details on a specific pet. Boston Terriers are full of personality, and, while some may have a stubborn streak, they are generally trainable and eager to learn. 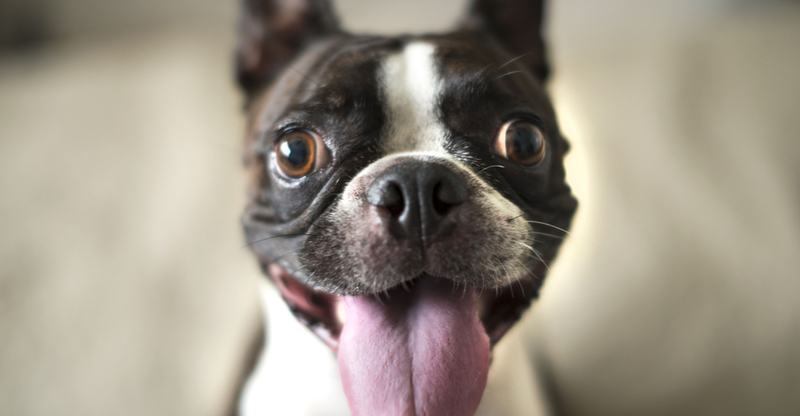 Boston Terriers are full of personality, and, while some may have a stubborn streak, they are generally trainable and eager to learn. 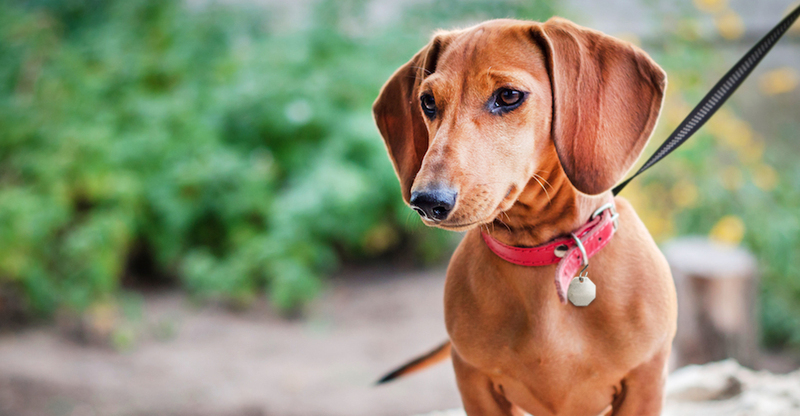 You can find both short-coated varieties, as well as long-haired Dachshunds, each with individual personalities. the Pug is a short-haired breed that enjoys a lot of popularity—probably due to their all-around good-natured personalities. 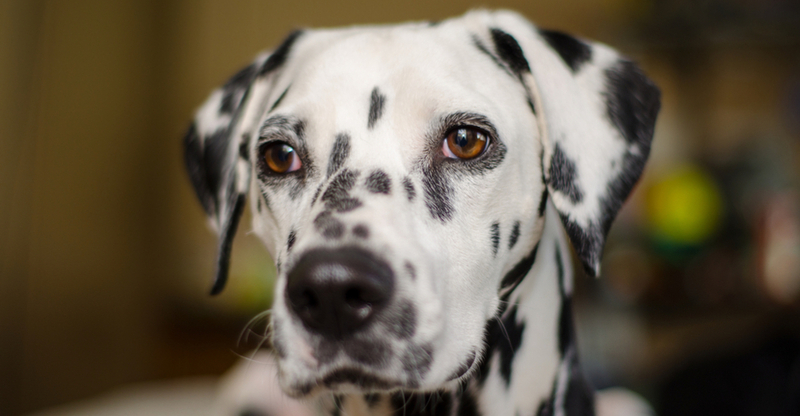 There’s no mistaking a Dalmatian. They have a distinctive coat and dignified personalities, with outgoing demeanors. Active and affectionate, Boxers make great family dogs. They have a lot of energy, and love to play and run. Vizslas are gentle and sensitive, with an exuberant, on-the-go personality. Vizslas are extremely active and need vigorous daily exercise. Loveable and loyal, with sweet dispositions, Labs not only have a short coat, they also naturally shed water, and many love to swim.